Heptonstall Parish Council is one of two tiers of statutory local authority in the Heptonstall area. The other is Calderdale Metropolitan Borough Council. To protect and conserve what is of merit in the heritage of the Parish, whether this be the green or the built environment,objects or features within them, or organisations, activities and facilities operating within the Parish. To promote and support new developments in the Parish which will contribute to the wellbeing of the Community whilst not detracting from that which is worth preserving. To prevent new developments which will impact adversely on the heritage of the Parish, or on the wellbeing of the Community. To consult members of the Community on all matters which potentially may have a major impact on the Community before arriving at a decision on action. To maintain awareness of the needs and wants of parishioners so that these can inform the prosecution of the Council’s aims. To keep parishioners informed of Council business in hand and of decisions made. To respond courteously and constructively to parishioners’ complaints and concerns of whatever nature and, where justified, to endeavour to the best of the Council’s abilities to bring about a fair and reasonable outcome to these. To secure the involvement and support of Ward Councillors – and through them the Principal Local Authority – in seeking to achieve the Council’s aims. To establish and maintain links with, and where required gain the involvement and support of, other people and bodies in achieving the Council’s aims eg the local MP, other Parish & Town Councils, NALC, National Trust, Rambler’s Association, etc. Residents of the Parish are welcome to attend any meeting of the Parish Council. Details of meetings are also posted on Parish Council notice boards in the centre of Heptonstall and at May’s Shop (Edge Lane, Colden). Heptonstall Parish Council has resolved to adopt the Transparency Code for Smaller Authorities. This page allows you to access all of the information that we are required to publish under the Transparency Code. The information for each financial year will be available after the end of the financial year on 31 March and by 1 July at the latest. The exceptions to this are the list of councillor responsibilities and the minutes, agendas and papers of formal meetings which are published on an ongoing basis. Details on the seeking of grant funding from the Parish Council can be seen here. Calderdale Metropolitan Borough Council www.calderdale.gov.uk 0845 245 6000. 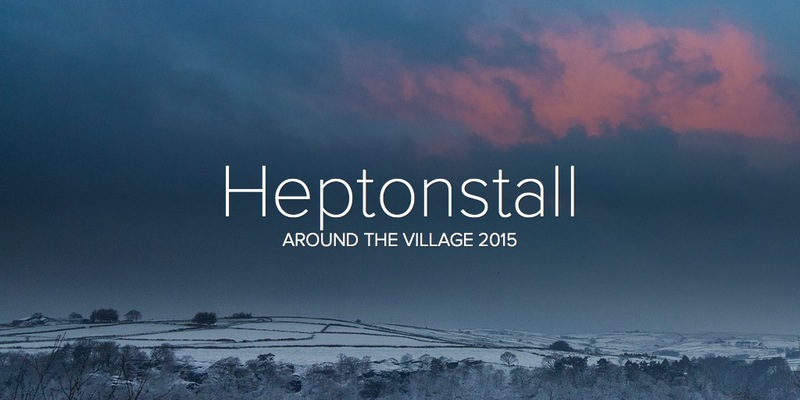 Heptonstall Parish Council publishes an occasional newsletter, past copies of which can be seen here. Other Parish Council news is made available through this website’s News pages and can be seen here.